The pace of Brazil’s rise in international affairs since 2000 is likely to be slowed by the multiple crises facing President Dilma Rousseff’s government and the private sector, but Brasilia will strive as best it can to maintain its global and regional priorities. Political tensions are soaring amid corruption indictments and severe economic contraction – the nearly 4 percent decline in GDP in 2015 is expected to be repeated this year, with increasingly negative social consequences. The government faces growing criticism that extends beyond the principal opposition parties: its own party base and supportive labor unions and social movements criticizing Rousseff’s administration. The corruption investigations have spread far beyond the national oil company, Petrobras, and into corporate networks across economic sectors, exacerbating a climate of growing anxiety. Major media are railing against the President and her predecessor, Luiz Inacio Lula da Silva, whose detention for questioning by a judge last week deepens the crisis and further dims the already faint prospects for a restoration of stability in 2016. These developments have created an element of paralysis in foreign policy. 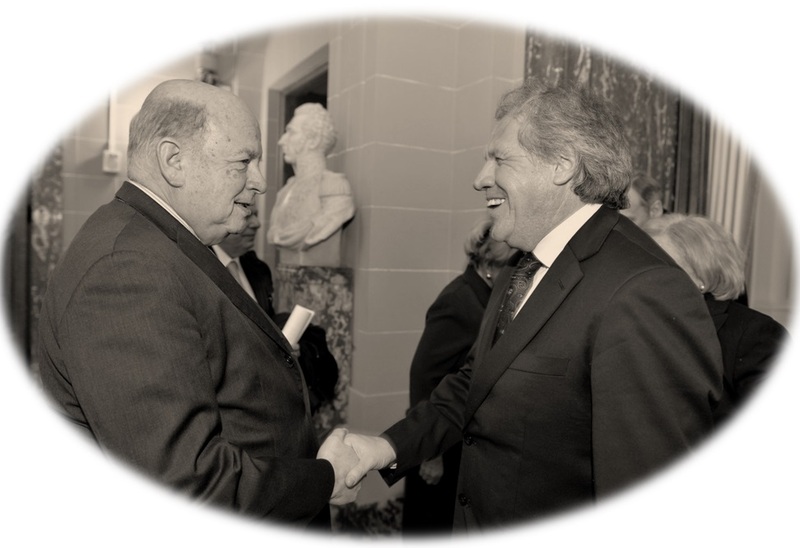 Foreign minister Mauro Vieira, like his two immediate predecessors – Luis Alberto Figueiredo (2013-2015) and Antonio Patriota (2011-2013) – has been unable to sustain the “active and proud” policy of Lula-era Foreign Minister Celso Amorim (2003-2010). After basking not long ago in the fruits of its assertive foreign policies – including selection as host of the 2016 Olympics – Brazil’s government now is dealing with matters such as the Zika virus and microcephaly taking front stage. Rousseff on one hand is barraged by criticism of a lack of macroeconomic rigor and the failure to better integrate Brazil’s economy into global production chains, and on the other she is criticized for slow investments and development policies. Her ambition to promote South American trade and economic integration is being undermined by the recessionary pressures confronting Brazil and neighboring economies buffeted by the end of the commodities boom. 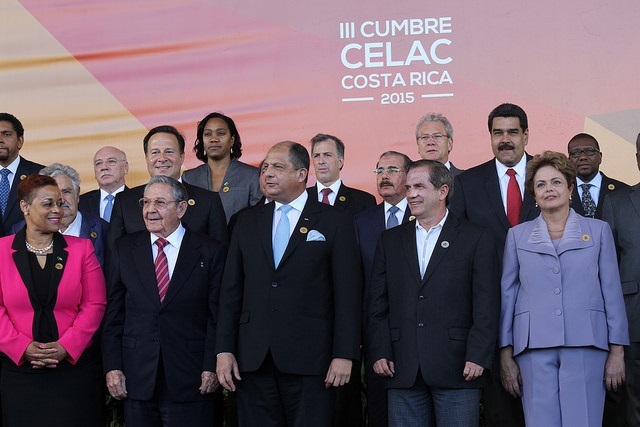 MERCOSUR remains a priority for the administration. Criticism by liberal economists will mount, however, that Mercosur, as a customs union, discourages potential agreements with developed economies, particularly the United States, thus exacerbating Brazil’s de-industrialization. There is evidence that Mercosur helps companies that produce high value-added goods: whereas in 2014 manufacturing accounted for 77 percent of Brazilian exports within Mercosur, it accounted for only 4 percent of exports to China. (The figures for the European Union and the U.S. were 37 and 55 percent, respectively). Progress on trade agreements with the United States and other developed countries appears unlikely, but agreements on trade promotion seem likely. 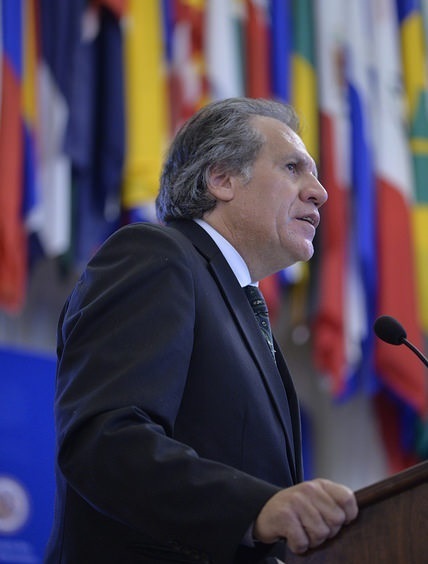 Cooperation with UNASUR will remain a priority as well, but plans that rely on Brazil’s ability to provide resources face new political and economic restraints. The Ministries of Finance and Planning and the Central Bank reportedly are going to rein in contributions of the Brazilian Development Bank (BNDES), and funding for the South American Council of Infrastructure and Planning (COSIPLAN). 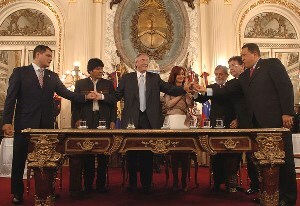 Initiatives such as the South American Defense Council will continue. Clearly, state enterprises such as Petrobras and private-sector conglomerates will face limits on their foreign activities, reducing Brazil’s influence in the region. The relationship between domestic and international affairs is inescapable, and Brazil is no exception. But even as the domestic political and economic conditions deteriorate for a period, the country will not turn inward or abandon its interest in the international arena, particularly with China and the BRICS. However rough the road ahead, President Rousseff’s government appears likely to remain steadfast in its approach to regional diplomatic and political organizations – including the Community of Latin American and Caribbean States (CELAC) and the OAS – even though resources will be tight. It will remain active, within its diminished capacity, in an array of multilateral settings ranging from UN peacekeeping operations and the FAO, to the G-20, WTO and IMF. Moreover, senior officials in Brasilia, including in the Foreign Ministry, appear committed to stronger bilateral ties with core partners, particularly the United States, and continued Brazilian support for democratic stability throughout Latin America, including in resolution of the Venezuelan crisis. Even though resources and performance may suffer, a robust role in the hemisphere appears likely to remain a pillar of Brazil’s foreign policy. The idea of Brazil’s autonomy in the international arena has deep roots, and whatever the domestic criticism leveled against the Rousseff administration, these will be matters of interpretation rather than a fundamental questioning of Brazil’s greater insertion into global processes and of political and economic interdependence. *Tullo Vigevani is Professor of Political Science and International Relations at the State University of São Paulo (UNESP) and a researcher at the Center for Studies on Contemporary Culture (Cedec) and the Brazilian National Institute of Science and Technology for Studies on the United States (INCT-INEU), in São Paulo. Although Chávez’s charisma, boundless energy, seductive regional pride, and resumption of Venezuela’s traditional oil subsidies made him larger than life, the depth and endurance of his influence was exaggerated by friends and foes alike. Elements of his vision of a “Bolivarian” Latin America united in resisting U.S. influence have always been present and always will be, but the dynamic Chávez sought, with himself at its center, seems likely to fade fast. Bolivia’s President Morales was the closest to being a protégé, but even he has been compelled by domestic politics to give priority to relations with Washington. 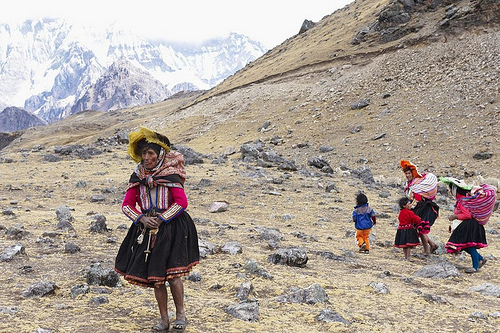 Ecuador’s President Correa was never as close to Chávez and largely steered his own independent course. Chavez’s detractors had tired of using him as a foil as well. For years no Latin American leader had found tangling with Caracas – thereby giving Chávez the attention he craved – to be worthwhile. Since Álvaro Uribe’s departure, even Colombia, apparently taking a cue from the oil-hungry United States, has made trade a bigger priority than criticizing its erratic neighbor. Many high-profile Venezuelan initiatives for the continent, such as the Banco del Sur, fizzled. Despite Chávez’s role in their founding, even UNASUR and CELAC had grown away from his personal leadership. Concerns in Washington that someone will take Chávez’s place as counterweight to U.S. influence seem at least five years out of date. There is no candidate with both the desire and ability to assume Chávez’s mantle. Just as the benefits of close cooperation with the United States have declined, most leaders have little to gain from overt conflict. South American international relations have already grown considerably more complex, as countries developed their own responses to Chávez without taking orders from either Washington or Caracas. The trend of increasing autonomy is natural and, in ways, inevitable – even though it may be irksome to some in Washington, who are skeptical of Latin Americans’ commitment to what Washington thinks should be a shared interpretation of democracy, trade and counternarcotics policy.